THIS YEAR a new death-defying and extreme circus is launching in Event City Manchester, celebrating 250 years of circus performances with the ultimate show to remember. 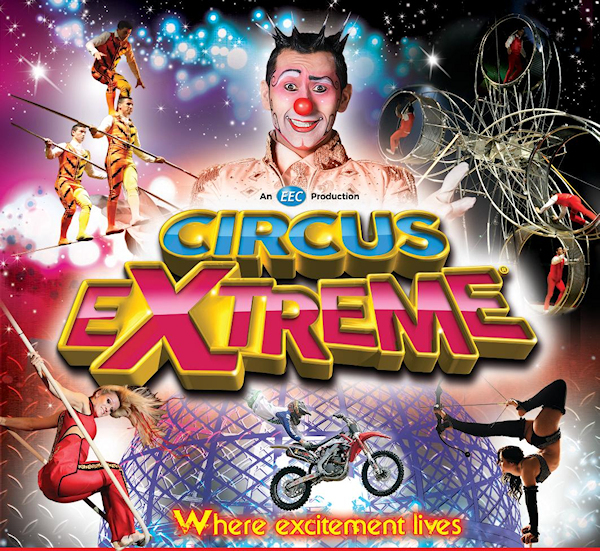 From February 9 until February 25, Event City, Manchester, will be hosting Circus Extreme. A one-of-a-kind performance, that has been five years in the making and features some of the most talented performers in the world. Because of its diverse and cultural background, Manchester was specifically chosen as the location for Circus Extreme. 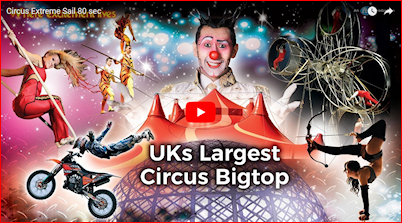 As a major centre of the creative industries and the third most visited city in the entire United Kingdom, where better than to celebrate the vibrant, artistic and awe-inspiring nature of the circus. Merging modern and contemporary styles with extreme stunts and classic clown escapades, audiences will be amazed by the jam-packed Circus Extreme with show-stopping performances that will have you on the edge of your seat. Acts include the Danguir Troupe, who will be preforming a high wire and double wheel of death stunt which has never been seen before in the UK, with leader of the troop, Mustafa Danger, flying in all the way from Africa for the performance. Just back from its European tour, the extreme FMX team will be bringing you its jaw-dropping stunts to the Big Top as our pilots fly through the air displaying cliff-hangers, nac nacs and supermans to name a few. Battling for air space, our resident riders are sure to get the adrenaline pumping as they defy gravity with incredible mid-air backflips. Our stunt riding team will also be performing the Globe of Death. The most death-defying act ever completed, as the group experience G-force similar to that of a fighter pilot. Watch as they loop vertically and horizontally all while encased in a mesh sphere. This really is one for the petrolheads! World famous Henry the Prince of Clowns, a legendary figure in the circus industry, will be keeping the audience amused throughout the show, while Laserman will also be putting on his internationally-renowned act, firing lasers from his fingers, engulfing the whole of the big top in this sensational immersive act transporting the audience into a sci-fi world. On top of this there will be the Cloud Swing, Trapeze, Body Twisting Contortion who can fire an arrow from a long bow, with her feet!! High Table Rolla balancing of 5 moving cylinders, while playing guitar and our troupe of dancers performing their acts all with unique twists, many of which have never been seen before in the UK. This really is an event with something for everyone, if you’re a petrolhead, theatre-goer, thrill seeker or wanting to see one of the greatest shows of its time, make sure to get your tickets fast. The show will run for approximately two hours and be housed in the UK’s largest Circus Big Top, which is climate controlled and features comfortable theatre-style seating. other discount or against tickets already purchased.